In the last little while I've had two very big situations happen, and comparing the two, I've really gotten a good look at how forgiveness works, and doesn't. One instance I erred against someone. I sought forgiveness, and was told I was forgiven, and then the relationships connected to this person were all severed. I was told I wasn't remorseful enough; I didn't realize the magnitude of my actions, and until I did, and until I did x, y, and z, "working" to obtain salvation in their eyes, I was cut out of the circles. The second instance involved a major blowout. Someone had suppressed their feelings toward me, to the point where one night it all exploded. It was unnerving, revealing, and raw for all involved. I took a drive to get a breather, returned home, and faced a sincere and true apology from this person. And then I frankly forgave, having the previous situation above to thank. Being told you're forgiven and then denied love and friendship by a Christian is sickening. Forgiveness is a funny thing. We are told to forgive "seventy times seven". But do we? Do we impose stipulations? Justice? Who are we to play God, and pose the judge in whether or not someone has "suffered enough" for their sins? Jacob 5 and 6 illustrate to me, once again, how MERCIFUL God is. Over and over in my life I've been taught this, but funny enough, when someone I regarded as a spiritual mentor told me that I'm not repentant enough, I thought God had damned me. That I was "cast out" from his presence. That's absolutely NOT how God works. Jacob 5 illustrates just what great lengths our Heavenly Father and Savior will go to, to allow us to come to them. To forgive us outright. To give us a second chance. And a third. And a fiftieth. And a 490th. God nourishes. Prunes, digs, dungs, again and again and again. He feeds us, prunes out sins and imperfections, adds nourishment when our soil runs dry or decrepit. 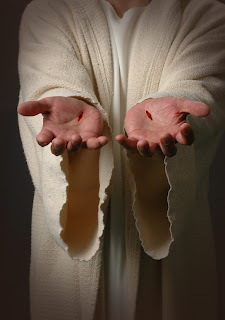 And even then, when we become weak, "he stretches forth his hands" (Jacob 6:4). No one, not even "spiritual" mentors or religious leaders, can take that away from you. So this Christmas season, my wish for you is forgiveness. If you believe God to be a harsh God, I hope you find the comfort of his outstretched hands, regardless of what anyone imposes upon you for judgment. I hope your friends and loved ones forgive you, and that you frankly forgive them, even if they haven't asked for forgiveness. It's not worth the pain, to act as judge for someone else, including yourself. Let God do that. I hope you find His mercy, which no man can truly offer or deny. He truly LOVES you, and will FORGIVE. We need just to take His hands. I love this. Thanks for the reminder that HE loves us.